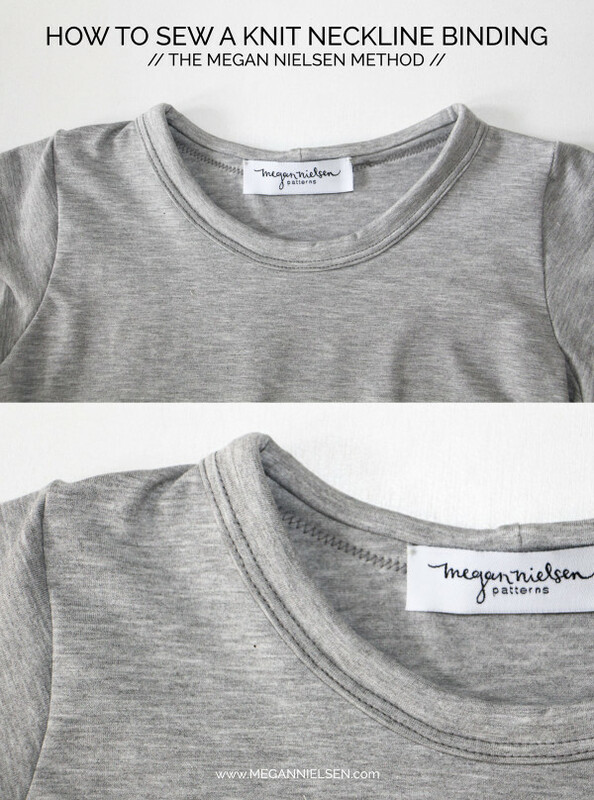 Today i’ll be showing you my favourite neckline finish for knit fabrics. It’s my personal method for sewing knit neckline bindings, and i think it’s a much better method than the standard method. I like it because all the raw edges are enclosed, there is no trimming at the end and since it’s so sturdy it adds an extra level of stability to very lightweight and thin knits. I include this method and the pattern pieces in my Briar and Mini Briar sewing patterns, but you can recreate this with any knit sewing pattern, you’ll just need to widen a standard neckline binding to be about 3″ (7.5cm) wide. 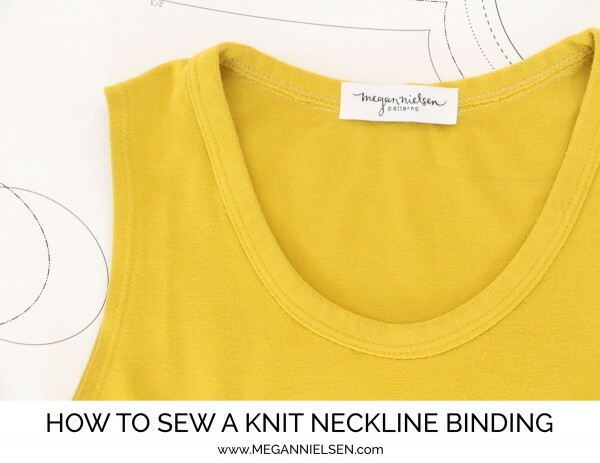 If you’d prefer to try the standard method of knit neckline binding then check out this tutorial, or if you’d prefer to try a neckline band use this tutorial. 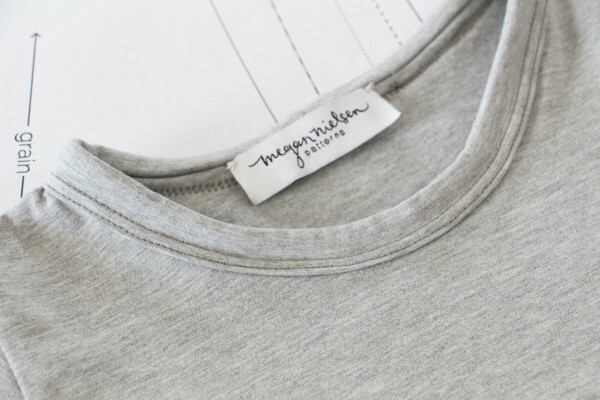 Today we’ll be covering how to add a neckline binding – unlike a neckline band, fabric is used to bind and enclose the raw edges of the neckline, rather than being attached to the neckline edges. This neckline works really nicely on the Briar sweater and tee, Mini Briar sweater and tee and Cara maternity tee sewing patterns. Okie dokie lets get going!